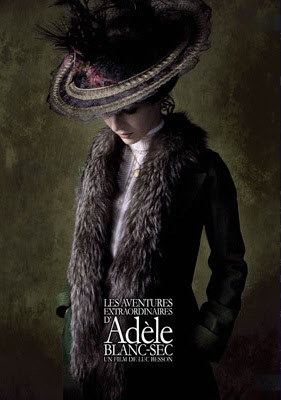 Luc Besson's The Extraordinary Adventures of Adele Blanc Sec now has an English trailer. Well a trailer with English subtitles. When I was a kid I spent some time in Belgium and was exposed to European comics for the first time. Naturally European comics were more weighty than the US flavours I had been reading up to then. I tried to read the Adele Blanc series but at the time did not enjoy the renoir'esque art work and opted for the easier to digest Tintin, Lucky Luke, Blueberry and a little Dylan Dog. Actually Tintin is fairly similar in many respects to Adele Blanc and I wonder if Spielberg's upcoming adaptation of Tintin had anything to do with Besson bringing Adele Blanc to the screen. The adventures of Adele Blanc Sec were serialised in 8 stories focused on our heroine Adele Blanc Sec. Adele Blanc-Sec is a writer based out of Paris around the time of WWI. In her adventures, she faces mad scientists, secret sects of demon worshippers, Egyptian mummies brought back to life, and a host of other creatures. "The year is 1912. Adèle Blanc-Sec, an intrepid young reporter, will go to any lengths to achieve her aims, including sailing to Egypt to tackle mummies of all shapes and sizes. Set in the carefree world before World War I, Adèle Blanc-Sec's adventures see the brave young woman fearlessly battling crooks, corrupt politicians, demon worshipers and mad scientists. Legendary cartoonist Jacques Tardi's original stories perfectly recreate the intrigue, romance and excitement of one of the most tumultuous periods in history." 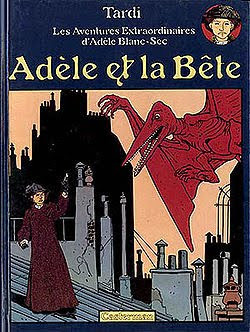 It looks like the film is based on the first comic "Adele And The Beast" in which a prehistoric pterodactyl egg has has somehow hatched and Paris is terrorized. The political establishment responds by passing the buck. 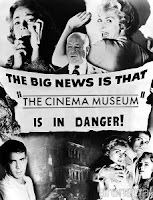 But when a reward is offered for pictures of the beast a series of conspiracies comes to light!